A Desk That Encourages Our Inner Child To Come Out! Slovakian architecture studio Ark Shelter has recently unveiled the latest iteration of its beautiful Ark Shelter—a tiny, self-sufficient unit that can be placed almost anywhere you please. 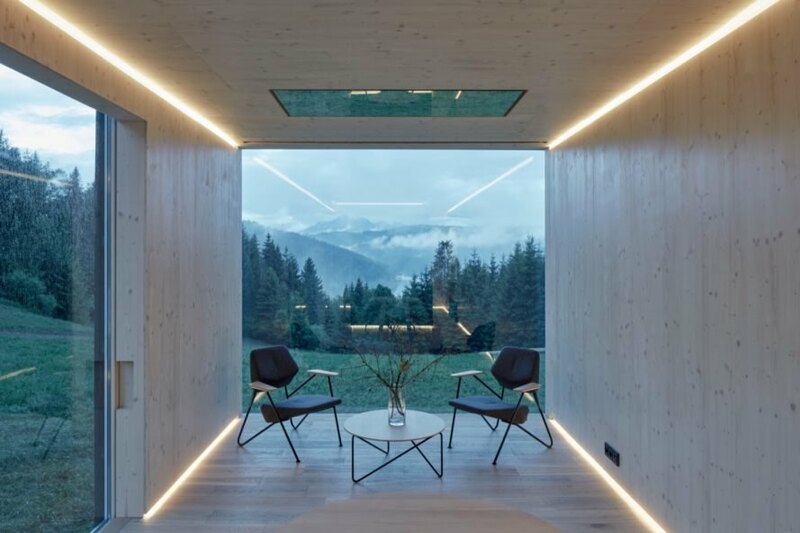 Dubbed the “Into the Wild” cabin, their newest off-grid shelter typology embraces the outdoors from all sides with large walls of glass. Developed from three years of research and development, the Into the Wild cabin offers modern comforts with minimal landscape impact. 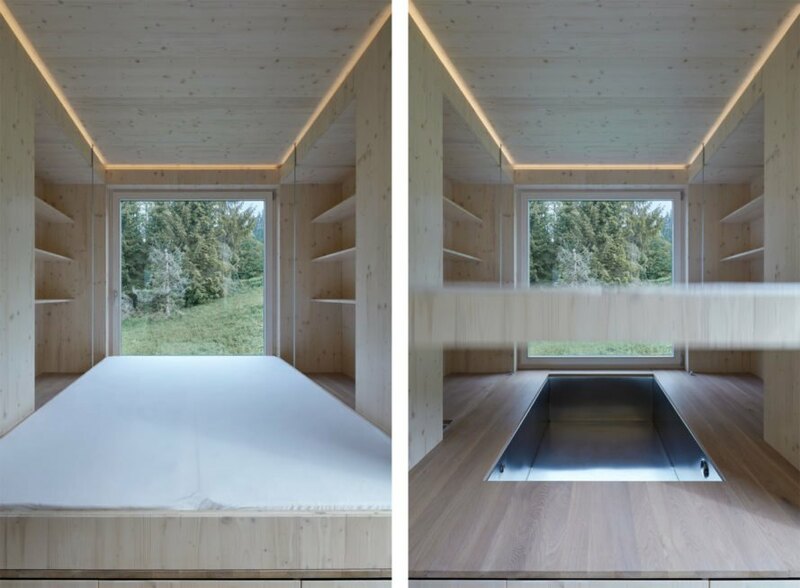 Prefabricated in a factory offsite, the Into the Wild cabin encompasses nearly 431 square feet of living space. 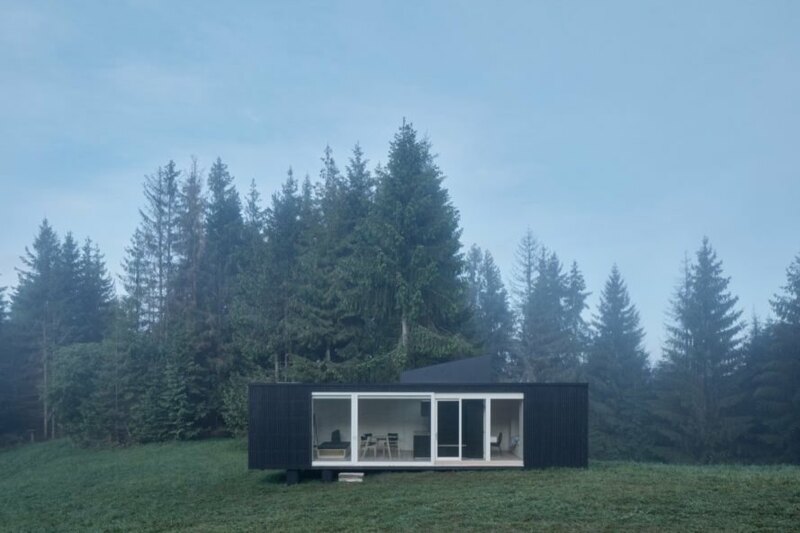 To recede the tiny cabin into the landscape, the architects used black-stained spruce for the exterior cladding. In contrast, the interior is lined in light-colored spruce and fitted out with lacquered oak furnishings and surfaces with a beige finish. Ark Shelter custom-designed the table, dining table, couch and lamp while the drawing and conference table was sourced from Croatian manufacturer Prostoria. 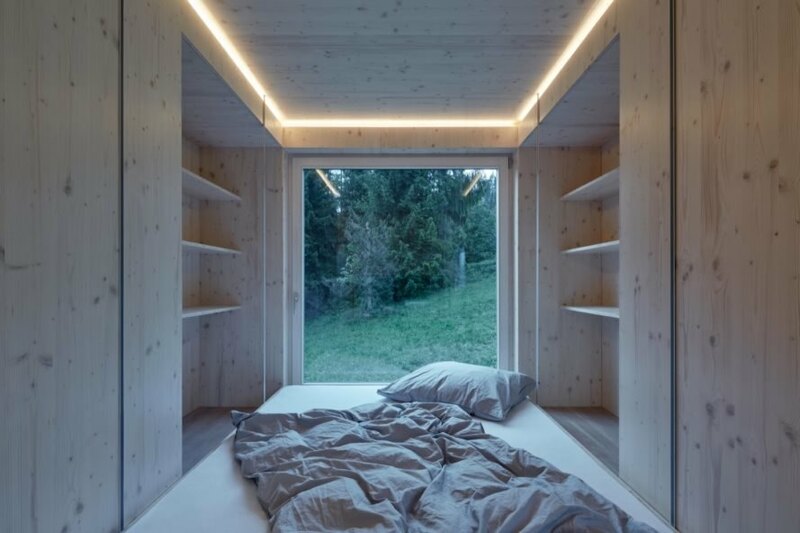 Punctuated with glazing on all sides, the light-filled cabin features an open-plan living area, dining space and kitchen, as well as a bathroom, storage space and bedroom space with a concealed Jacuzzi beneath the bed. 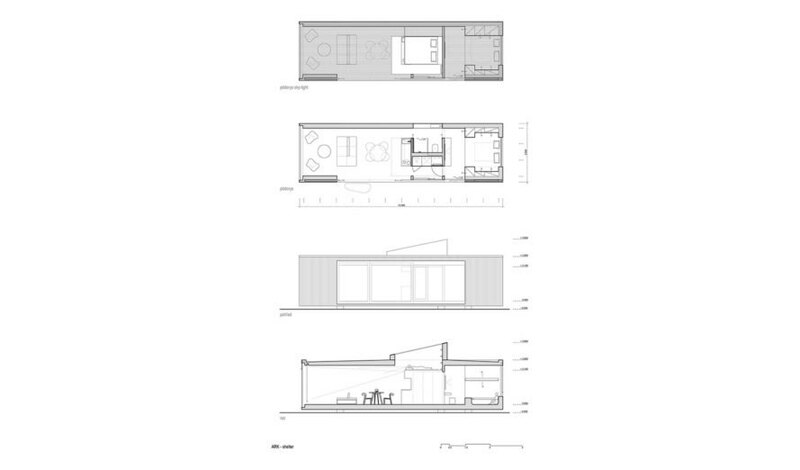 An extra module added to the top of the cabin creates space for an upper loft that can be used as a second bedroom. 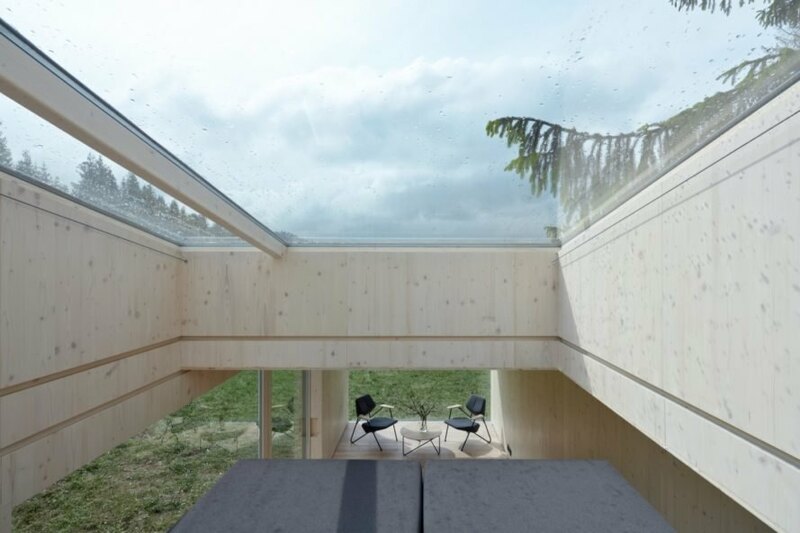 The cabin is equipped with solar panels, batteries and rainwater collection systems for off-grid living.